I'm not a big fan of following recipes. I've been cooking for SO MANY YEARS, that, often I just glance at the recipe, check on the ingredients and then cook my modified version, relying on my vast experience. Well, lately all of my Sometimes Sunday Crochet Ladies have been RAVING about Dori Greenspan's "Around My French Table" cookbook. OMG! The girls kept describing dish after dish that just sounded A-MAZING!!! 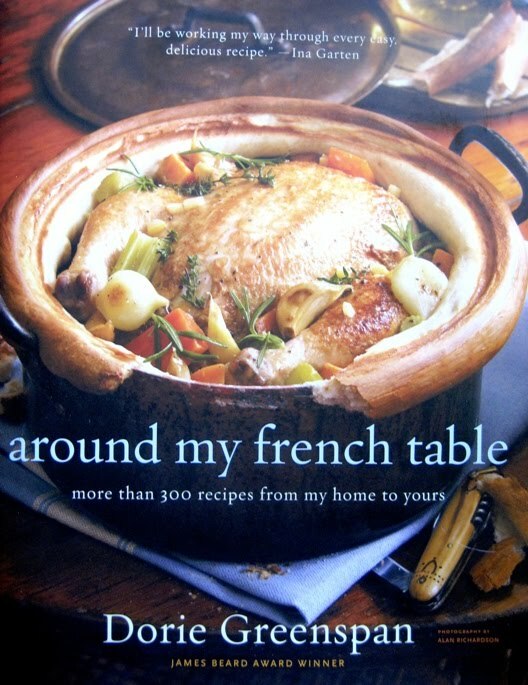 I'm actually more a fan of Peg Bracken's "I Hate to Cookbook." I come from the "dump and shove-it" school of cooking....dump it in the pan, shove it in the oven. There was a time when I was part of a gourmet cooking club where we'd trade off giving extravagant dinner parties using complicated recipes. I learned quite a bit during this period of my cooking life, reading and experimenting with the popular recipes of the day. Once I married Mr. Skinny-Man Larry who often FORGETS TO EAT, I found that I was wasting time cooking fancy-schmancy meals when Larry was just as happy with a bowl of cereal. I concentrated my need to create on other areas (yarny projects). Lately, our repertoire of evening meals was getting monotonous. How many more quickie Trader Joe's meals could I serve? I do love T.J.'s, but they do tend to use the same spices in many of the prepared food products. I succumbed. 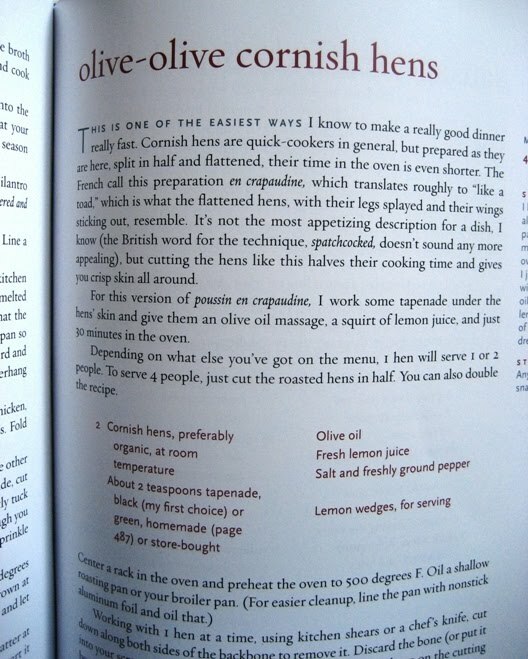 I bought this humongous Dori Greenspan recipe book that is the size of a TV tray and started reading through it. Yes, many of the recipes sounded great. I must say, I do need to replenish my spice rack with updated spices and more interesting shakes other than my go-to Lawry's seasoned salt! 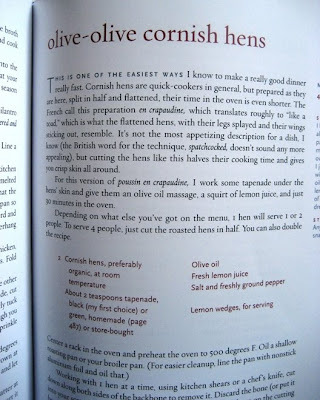 I chose a recipe to cook this past Sunday. 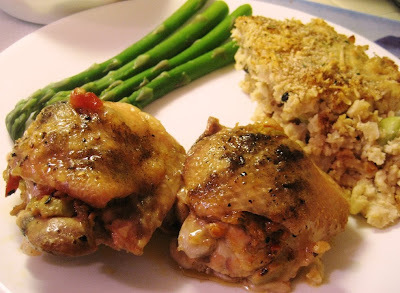 This is a Cornish Game Hen recipe, but naturally I had to make at least ONE substitution! I had chicken thighs on hand, so that's what I used. 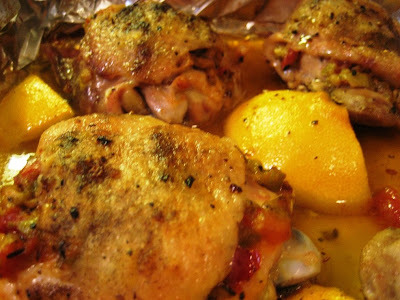 The recipe is called Olive-Olive Cornish Hens, using olive tapenade as the flavoring. 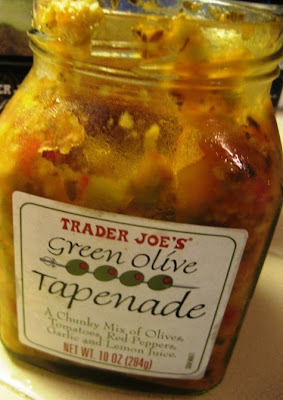 (thank you, Trader Joe's for the tapenade). There's a very long explanation about the hens...bla, bla, bla. After all of that, the recipe was really easy. 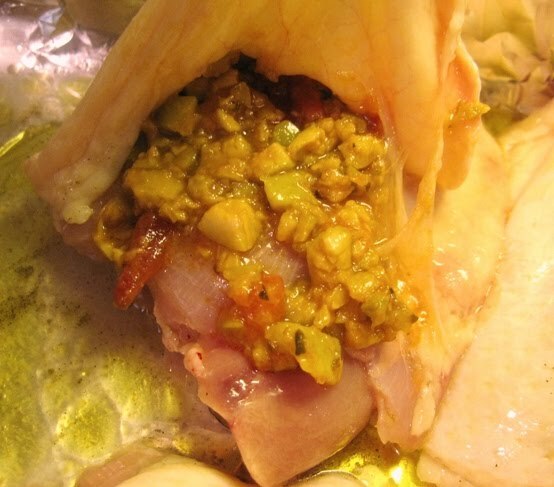 According to the instructions, you place the tapenade UNDER the skin of the bird and then roast the seasoned poultry. It turned out beautifully and was quite tasty. I served it with freshly steamed asparagus and some leftover potato kugel from Passover. On to the next cooking adventure! I love anything with "French" in the title. Ellen, great post! 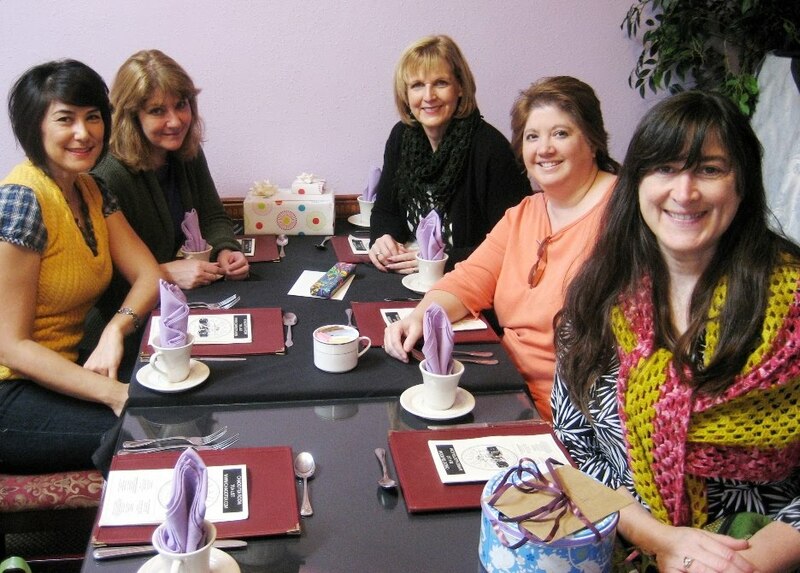 Loved hearing about your cooking history. Let us know what else you make.